by Hoshi Sato, who subsequently declares herself Empress of the Terran Empire. processing facility Terok Nor was constructed in orbit. primary Doctor Bashir kills Odo. -The Terran Rebellion begins. Benjamin Sisko is killed when his freighter is destroyed. Garak executes Rom. Miles O'Brien becomes leader of the Rebellion. Terok Nor. Intendant Kira Nerys kills Nog and Jennifer Sisko. universe to steal an orb. Tigan joins the Rebellion. The Rebellion captures Regent Worf. -The Terrens, under the control of Bashir, start regain thier former regim. -Bashir dies. The New Terran Empire controls most of known space. 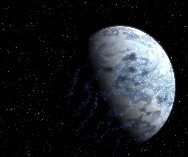 -The New Terran Empire Controls most of the known universe.